Chicago is one of my favorite cities. Every time I go there I get caught up in its history and its memorable landmarks and sites. I actually start to feel like I could get used to calling myself a Chicagoan, if the beautiful city would have me. 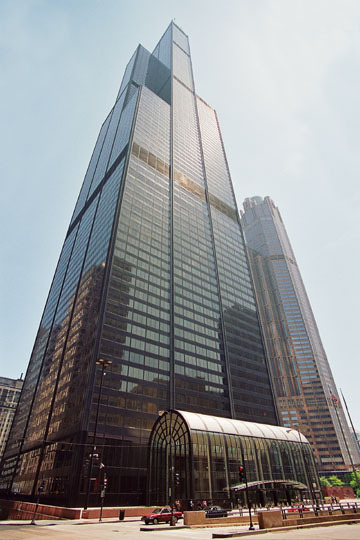 Therefore, when I found out they were changing the name of the Sears Tower to the Willis Tower I was not happy. Banks and companies move into a city and think it’s good publicity to put their name on everything. It’s not. People hate it. I will never stop calling Cleveland’s baseball field Jacob’s Field and our ice arena The Gund even though insurance companies have changed the names.